Thesis: NASA, star trek, star wars, and Mars One; our pop culture is screaming we’re coming final frontier! What will happen once we conquer our final challenge…or is it the last one? Its time to look at how the stars have lead us from the beginning of our history and how it will guide our future as we live within them. The entire space process really started back in ancient times long before recorded history as the masses were inspired by the stars. They said more than what some people believed were birth symbols, they were also important in navigation. In 1610 Galileo Galilei used the telescope with a mere 30x magnification to view sights like Neptune, the rings of Saturn, Venus, and even observed “sun spots”. He was the first to develop the heliocentric theory, and for it served house arrest. created in the year 1731 by John Hadley, in England, and Thomas Godfrey in Philadelphia, an entire ocean away. They fought each other for the right to be known as the original inventor. Polaris is a star commonly used in celestial navigation as it barely moves across the sky being located closest to the pole. By using three stars a navigator can get decently small triangle portraying an approximate position. From generation to generation the same burning hydrogen has inspired people for centuries. Now however our maps are more extensive and widespread. Used to maps were on paper and usually only found by the professionals that needed them. Now the internet has allowed star maps to be viewed by all. From Googles experiment with 100,000 stars, which is actually a map of the galaxy, to more scientific non graphical point maps of the entire known universe but there are also graphical videos of what a fast fly around the universe would be like. Now the common man knows more about the universe than scientists did in 1893 or really any time before the internet. We may not have always been able to reach the moon but we always tried to get close first by conquering the skies. As imaginative innovative beings that ruled the planet why was it that we were not allowed in the skies as the birds are? In the year 1783 Francois Pilatre de Rozier and Francois Laurent during November the 21st took up the very first paper and silk hot air balloon for a joyride through Paris, France. The same pioneers in 1785 crashed the balloon while crossing the English Channel in a hydrogen and hot air mixed balloon, it exploded. In the year 1903 the Wright brothers flew their first true airplane in Kitty Hawk North Carolina, yet they did not demonstrate it until 1908. That year was the same year as the first airplane crash. The Apollo missions didn’t start out very successful either. Apollo 11 became the craft to make it to the moon but those other 10 were very devastating. One of which students watched their teacher die on. Apollo 13 was another disaster but was resolved. With every failure we develop further but with the cost of rocket travel being so high we really just need another solution. We have never ignored the stars. Astronomical enthusiasm has its dips and rises, but these skies have never gone unnoticed. Most of the time they serve as a romance piece. Other times, stars have served as an inspirational piece that proves there is significance in life. After the whole world fought itself in two world wars, there finally came a war in which no one even died. The cold war was more of a fear competition than a war and in being so it became a era of progress for the human race. Finally Sputnik became the first human created object to orbit the planet we’ve lived on for our entire existence. Since then we have thought of a few ways we might be able to leave the planet. Light craft is a vehicle still in the prototype stage that uses lasers to explode the air behind the craft allowing the vehicle to ride the shock waves. It sounds pretty intensive but it is an incomplete project that is being worked on by the United States Air Force according to reports. As of yet light craft has not left the mesosphere but progress does seem promising. Lessening the cost of post mesosphere navigation is essential to the progress of celestial navigation. 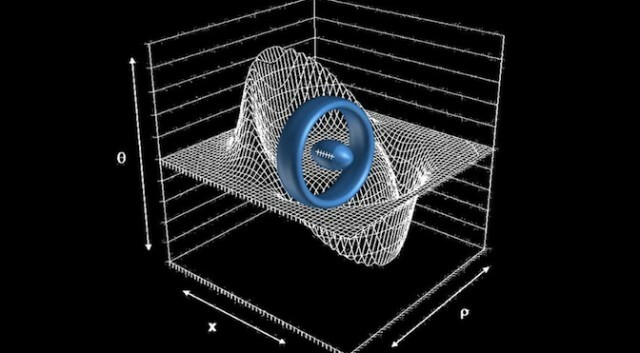 Another solution that may be the future of spacecraft is NASA’s alcubierre drive. This theory may launch space ships at speeds faster than light. The cost estimate is higher than feasible at this moment but with advances in science happening daily, the cost for antimatter may actually go down….eventually. has on it incorrect numbers about our population, although correct for its given time, several languages of Earth, and pictures of Earth including, interestingly, African hunters, I’m guessing if we become a scene of attack that we will be very underestimated. Will intelligent life ever find it? Perhaps not. In the future maybe humanity will find it and it will serve as a time capsule, nothing more. Cassini is a satellite orbiting Saturn. Thus far is has mapped a promising ice moon called Enceladus. Much like Jupiter’s Europa, Enceladus holds an entirely icy surface. The one hundred and one thus far discovered geysers feed the F ring of Saturn, its outermost ring. It is believed that underneath these geysers life may have developed. Although it would be microscopic life, probably anyway, scientists are still very excited to see the DNA chain of alien life. Mars one is an initiative designed to finally send humanity into a piece of the final frontier. one hundred astronauts have been chosen and, after vigorous training, will launch for Mars in 2018. Mars One believes that any colonization effort into space should be an international one. Being a non-profit organization Mars One would not like any country gaining a planetary advantage at their organizations disposal. Being as such the 100 people selected for permanent Mars colonization come from places around the world. According to modern-day scientists, the universe is destined to end. Our planet of Earth will be exhausted once the Sun blows up it within a couple billion years. If we were to somehow escape that we would still have to deal with the fact that our galaxy is on a collision course with another galaxy the black holes in the center of our galaxy will collide. The two super massive black holes orbit each other for long periods of time until finally they will collide a small incision in the space-time fabric And eventually create an even larger black hole and perhaps a new galaxy for a while. Soon the entire universe will be exhausted to 1 of 2 things 1 black holes and two energy. All matter eventually turns into energy see what’s known as radiation. Even matter itself has a time limit. All of that matter will be sucked up into these black holes, and then the black holes themselves will break down. The entire universe will be filled with nothing but energy a soup of matter that we can’t even call matter because it’s not made of atoms anymore. This is the destiny of the universe except for one thing. The universe has this thing called entropy. What entropy says is that the universe will always be moving in the direction of less complexity. But it also means that the universe is also in a state of creating more complex things. In a cycle of more complex and degrading to less complex, the universe is in a contradicting battle with itself. To avoid its eventual destiny of being absolutely nothing, the universe has created this wonderful thing called life. We will always look to the stars when we asked the question what is the meaning of life and that is no coincidence. Because the meaning of life is to avoid entropy or rather to add to it to keep the universe from being a soup of nothing but energy. So our future entitlement is this; to keep the universe together. To do that we will have to create an engine of what the universe is. Being that would be so far apart that light would not be able to reach us within thousands of years in order to complete such a universe project, We will have to efficiently work together without communicating. This sounds difficult however I have hope in humanity and that creative minds tend to come to general solution. It’s not entirely uncommon for two people who have never met to come up with the same idea. It is things like this that will keep the universe together. To see what solution to might come up with then a couple billion years from now we will have to look at a few important concepts. First matter will always turn into radiation. Second return radiation back into matter is both expensive and ineffective. Last, there is an anti matter called dark matter and right now we don’t know what it is but its pushing the universe apart being one of the many ways the universe will end. However the universe gives us little hints here in there as to how to fix it. While the universe may not have walls that keep energy from ever going further than where it needs to go, It does have several different types of energy and one of those energies being gravity. We already know the old planets rotate around the Sun but did you know that the Sun rotates on an axis and rotates around the center of the massive black hole in the middle of the galaxy along with over 400 billion stars and only 100,000 of those stars being within our star cluster, The kind that you can see with your eyes while looking at the sky at night. Now the idea of the entire universe all the galaxies rotating around a center, keeping all of the energy within an invisible wall will be very dangerous and difficult But necessary for the existence of the universe if that’s not already what’s happening. But if the universe already does look like that then it will be our job to keep up with the maintenance of it. It will be our duty to keep the soup contain far enough that it won’t create a black hole of the entire universe and close enough so that it doesn’t continuously expand into nothing. So to get back to the idea that humanity can communicate stabilization of the universe allowing us to survive eternity rather than to hit an end in the universe. How? Think back to the Sextian and that age-old question of “What is the meaning of life” becomes more clear. Two inventors think of the same invention without communication or knowledge of each other. A theory developed by Rupert Sheldrake suggests that nature’s laws are not facts but rather habits. Because something happened in one part of the universe it is more likely to happen in another part. The theory goes on to explain species development as a result of morphic fields and even says that social groups can communicate at a distance like a telepathy that, as far as I can tell, no one is consciously aware of. With that said some opening of the mind will have to take place. Ignore the current rules of what classifies something as alive. imagine all matter and energy as being loosely alive. Imagine the entire universe as being a neural net almost like a brain but not as complex. Imagine that neural net knows it is going to die and so it creates life in hopes it will find an answer to its fate. If the reader ever wanted to know what they were made for, I have a highly educated guess. We’re supposed to fix the universe. There is a lot of work left to be done. Continuation with our astronomical progress means continuation of our species and the universe. Our ancestors have spent thousands of years mapping and studying the stars for us. To drop out now would be treason to our forefathers. Some of us are still making progress, the light craft project, NASA, and several non-profit organizations. As one goes from paycheck to paycheck and depression kicks in from lack of purpose, one needs to only remember that there is an entire universe waiting for a species to assist it. On April 18, 2015, several people will be taking a 14 mile total walk through spring flowers as the founder of project ASSTRIEN discusses several issues that have gone through his mind through the years. The event is planned to be recorded and posted but you can see it live in Omaha Arkansas. Our goal is to gather together those interested in the specified fields and those who know all about the specified fields to grow and develop each other. If you have a skill or would like to develop a skill please sign up at the wix site. For new project asstrien sign up. It’s free and fun, but only if your interested. In case you don’t know yet, project asstrien is an acrostic. It is an astronomical super science technology redefining innovation environmental notation corporation designed to regroup anyone with such interests. Welcome to project asstrien. View more by category: Uncategorized (7). .